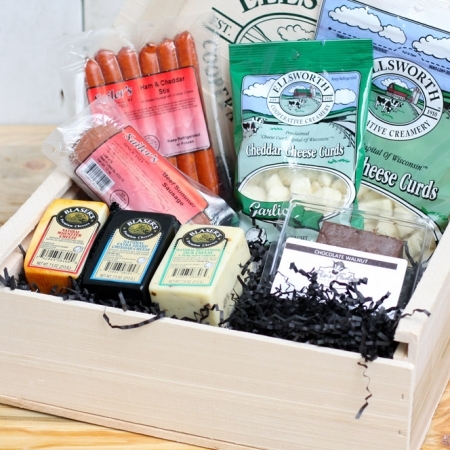 Grand Champion is a title held for the very best, which is what you’ll find in this gift crate. 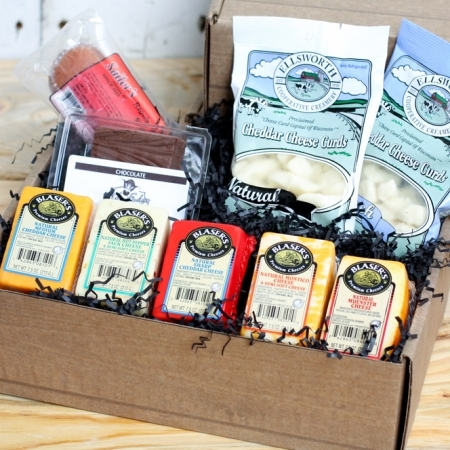 Featuring our best artisan cheese offerings and most popular cheese curd flavors! 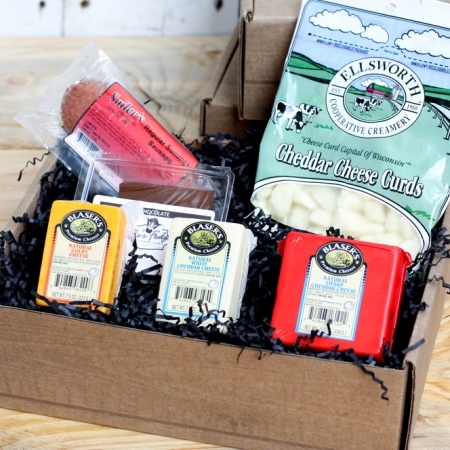 A gourmet beechwood cheese slicer rounds out this specialty package; the perfect family or corporate gift. 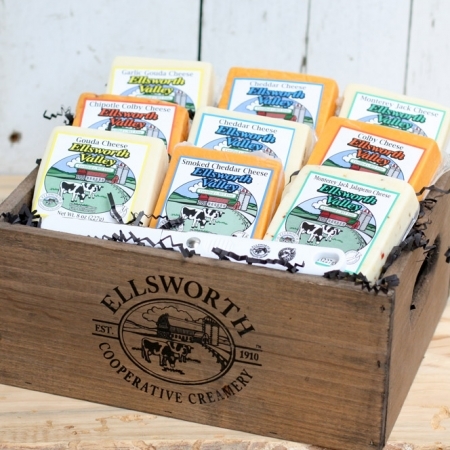 Large wooden crate with rope handles, complete with a wooden cover branded with the Ellsworth Cooperative Creamery emblem, is a beautiful keepsake and collector’s piece. 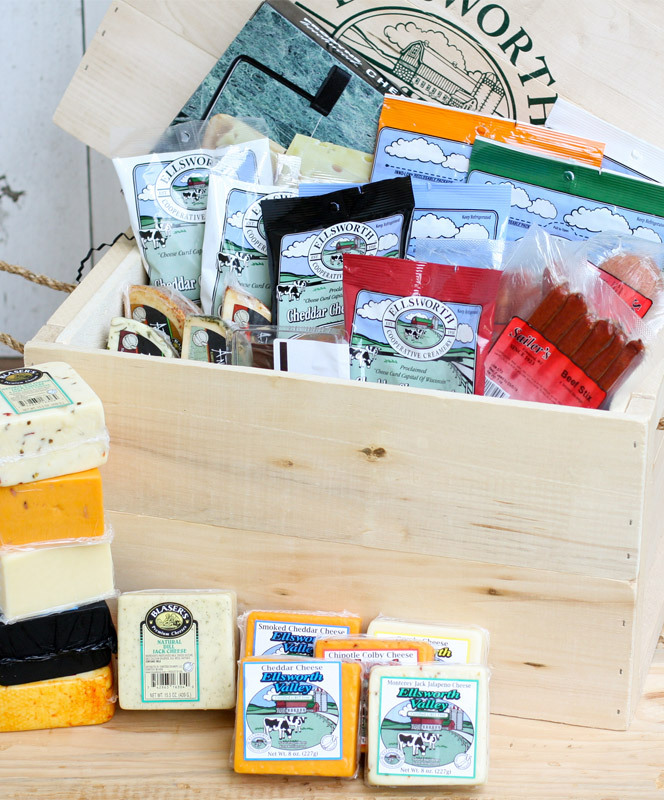 When you want to give the very best, give the gift of Wisconsin cheese.